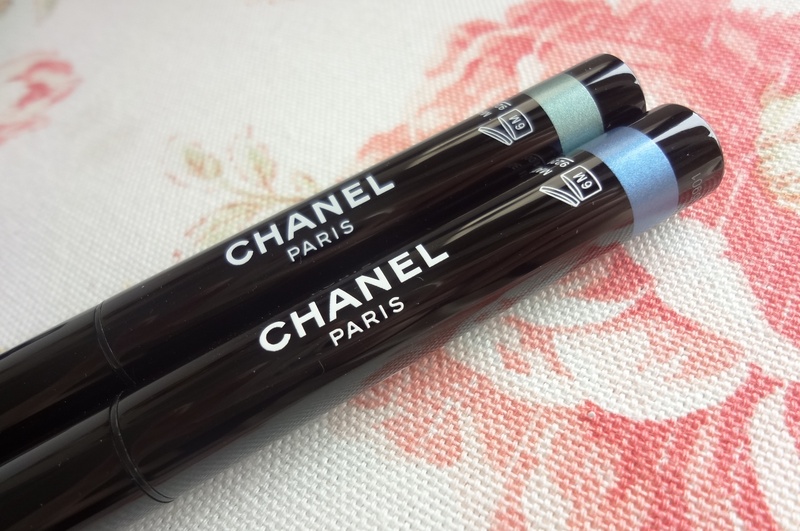 Whilst a few of the six shades are typically safely Chanel, two totally screamed summer (well… this is Chanel… and Chanel doesn’t scream… so maybe more whispered softly and seductively in my ear) – 37 Jade Shore and 47 Blue Bay. So of course, they were the two I waltzed away with – and I think I’ve found my go-to summer look. The twist-up applicator could not be easier. I reckon with a little bit of training, even my dogs could work out how to apply these (not sure if blue is their colour though). Twist up, glide over eye, twist back down again. Oh, if only life were so easy. Unlike many stick eyeshadows that have a totally rounded tip or a more crayon-esque shape, the Stylo Eyeshadows are more of a cylinder slanted off at the top. At first, I wondered if this meant the barrel would be too thick to fit nicely in the eye socket but actually, they’re pretty awesome – the straight tapered edge means you can get a really neat precise line that slides perfectly into those eye contours and crannies. As for the shadows themselves – crack open the Pimms, because these Stylo Eyeshadows are definitely worth celebrating! They glide on absolutely effortlessly; you barely need to apply any pressure at all and they’ve already skimmed happily over your lids. The formula is extremely lightweight, soft and creamy, but without being crumbly. 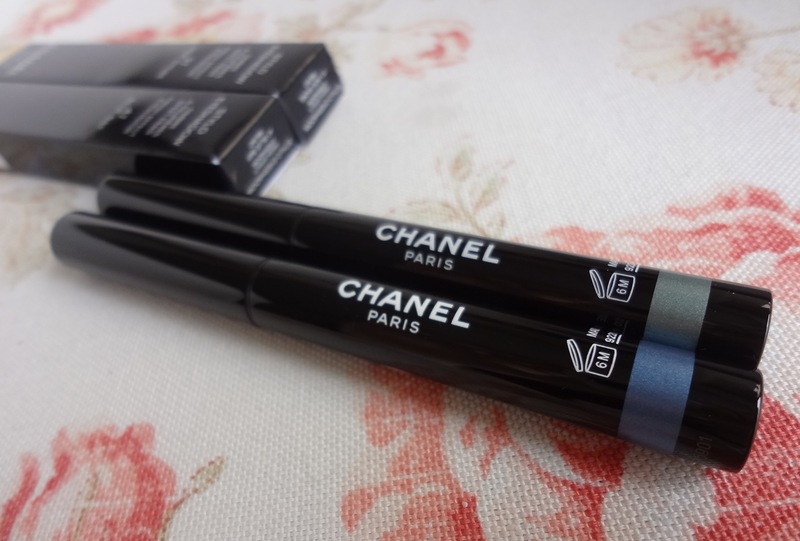 Think Chanel’s Illusion D’Ombre cloud-like cream shadows but even better. Heavenly. The shadows also have a really beautiful cooling effect – like a metallic rollerball or pressing cucumber slices to your eyes… but a whole lot prettier! I love that Chanel managed to incorporate this feature without it feeling gimmicky, and it’s yet another reason why the Stylo Eyeshadows really are summer perfection. Jade Shore is a stunning silvery sage green, infused with a healthy shot of grey to stop it becoming too bright (and too un-Chanel haha). 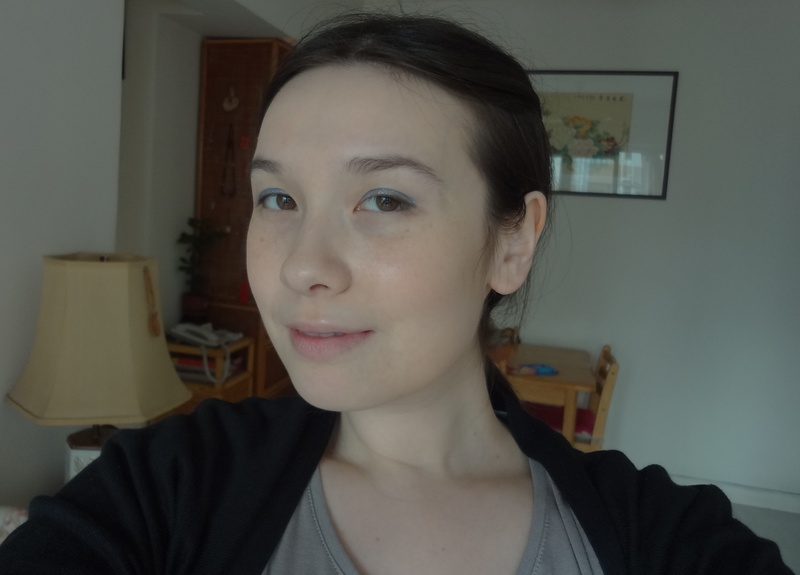 I was actually surprised at how versatile this is – you can wear it relatively sheer for a pretty spring-like wash of colour, or layer it up to produce a brighter sparklier look. 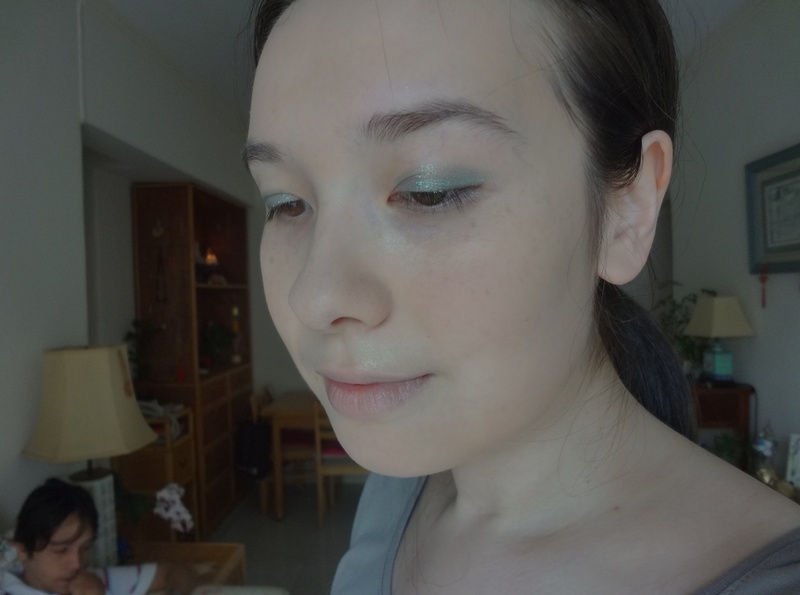 It’s a light pale seafoam green that totally sets off brown eyes in particular and actually brightens up your whole look. Wait… did someone say seafoam?! Well, we all know how obsessed I am by that colour, so needless to say Jade Shore is a hit with me! 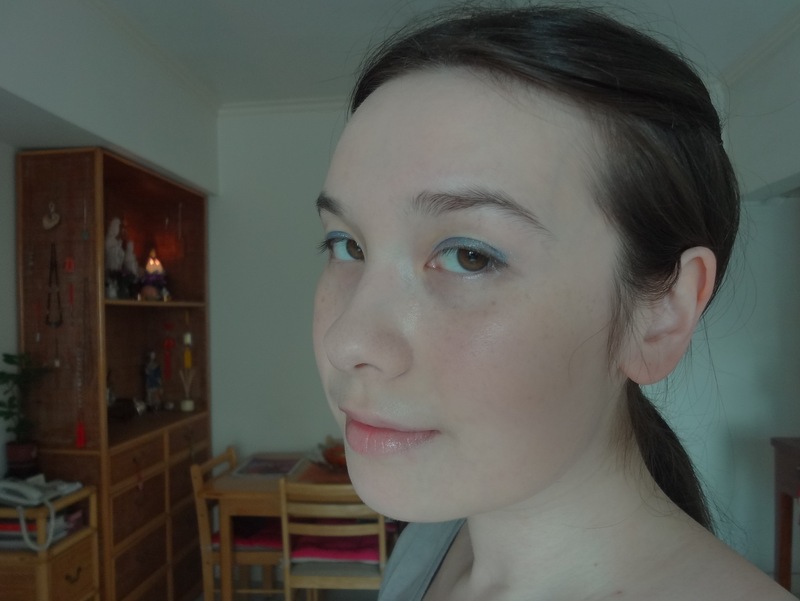 I did find that it applied a little more patchily on the eyelid than it did swatched onto my hand and it only lasted about four hours before fading – but the colour is far too beautiful for me to care too much. Since I love me some seafoam (too much time spent watching The Little Mermaid as a child?! ), I can easily imagine sporting this all year round and it’s basically everything I wanted Laura Mercier’s Mint Snow Caviar Stick to be and more. If Jade Shore could just about work for any time of year, there is absolutely no doubting what season Blue Bay was made for – this is truly the colour of summer! It’s a gorgeous sky blue, again with a Cinderella scattering of silvery sparkle. Just looking at this colour almost makes me feel cooler, like dipping my toes into a shimmering ocean of blue. I found that Blue Bay applied less patchily than Jade Shore; it’s very easy to achieve a bright opaque colour with this one. 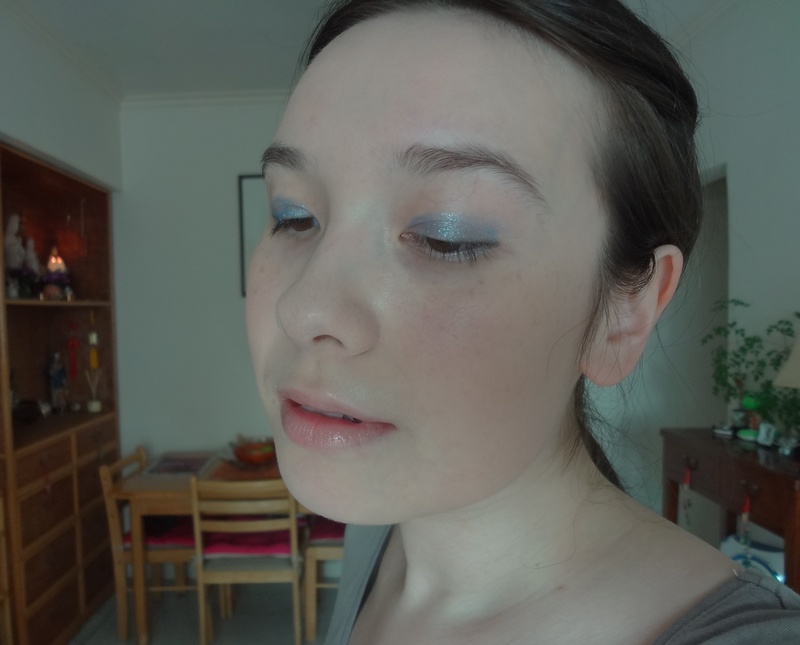 Again, you can wear this light and delicate (where it looks more like a grey-blue… much more sophisticated than blue eyeshadow’s reputation would have you believe!) or build it up for some total Blue Fairy magic! 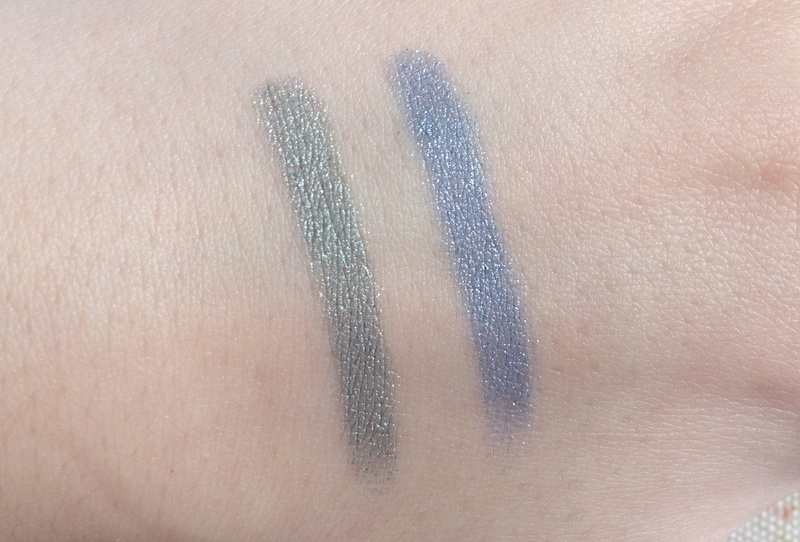 Blue Bay performed better than Jade Shore time-wise, possibly because of its stronger colour pigmentation, lasting around six to eight hours without primer. 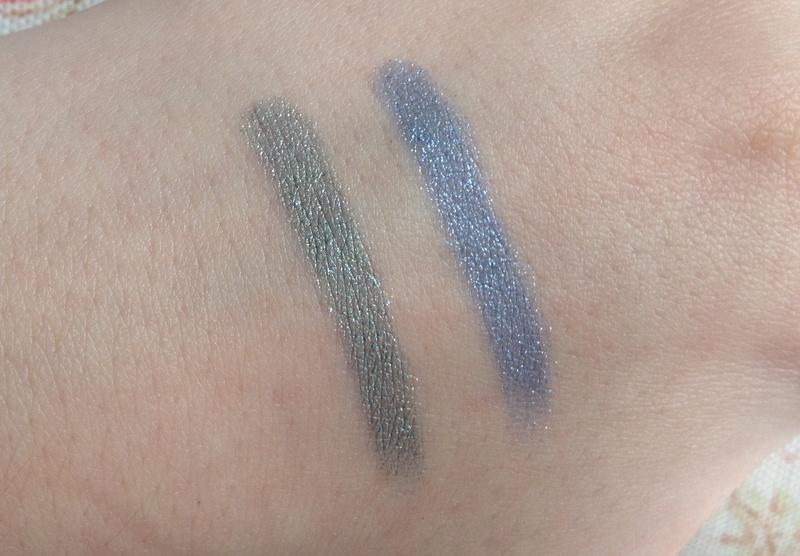 Blue Bay worn lighter – see how grey-blue it looks in comparison to the earlier pics! Since the Stylo Eyeshadow formula is clearly more water-based than others, they do have quite a lot of slip to them. 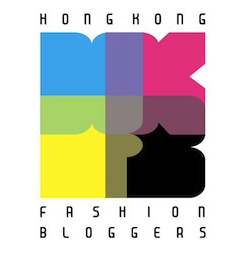 On the plus side, this is what makes them glide on as effortlessly as a champion ice-skater; it also means they don’t set too quickly, giving you plenty of time to blend with other shades and create a sparkling cocktail of colour. 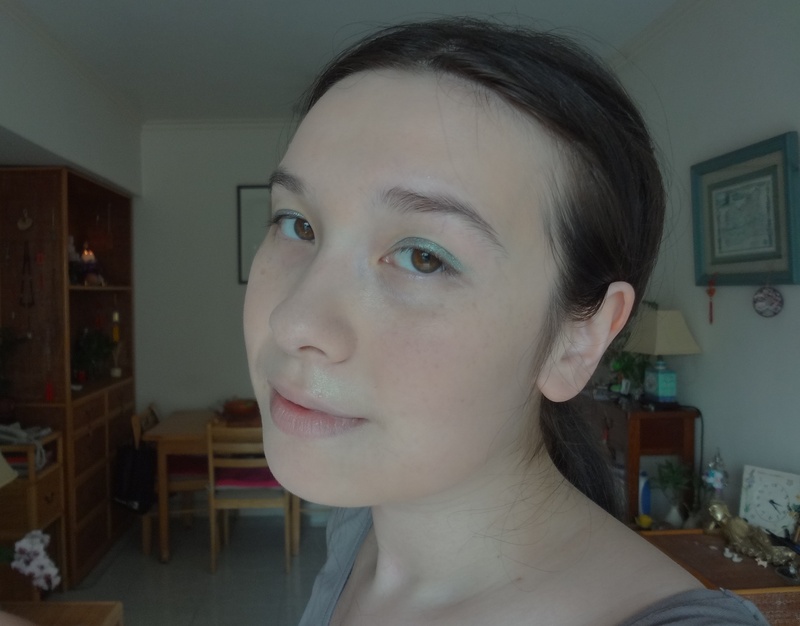 However, those of you with oily eyelids may find that these crease quickly sans primer – personally, I found Jade Shore more prone to creasing than Blue Bay, though maybe I was just sweatier that day! They also don’t last nearly as long as the likes of Caviar or Chubby Sticks… but at least re-application gives you a good excuse to enjoy that cooling feeling all over again! Some may feel that the Stylo shades have too much sparkle to them – but as my nail polish reviews may tell you, I have absolutely zero qualms about sparkle these days! The difference is that this is a very fine silvery glitter as opposed to the chunky stuff – it’s a sophisticated take on sparkle (I thought the above photo really captured Blue Bay’s iridescence! ), light years away from Barry M Dazzle Dust, and with zero grittiness or fallout to boot. 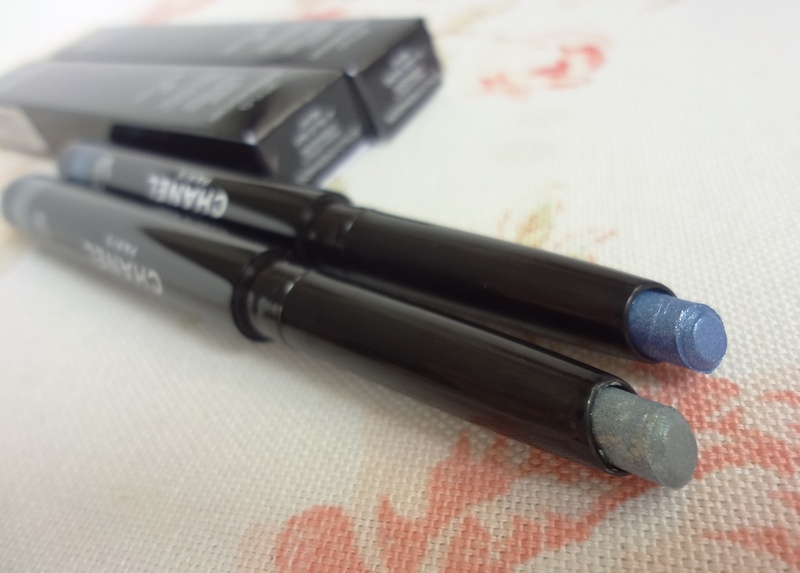 Whilst some of Chanel Stylo Eyeshadows aren’t quite unique enough to justify the spend (especially knowing now that there are a few performance issues compared against other similar stick eyeshadows), I do love the two I bought. In case you didn’t know, ‘L’Ete Papillon’ means ‘The Summer Butterfly’ and these tropical splashes and flashes of shimmering iridescent colour are exactly what you’ll need to spread your wings this summer! 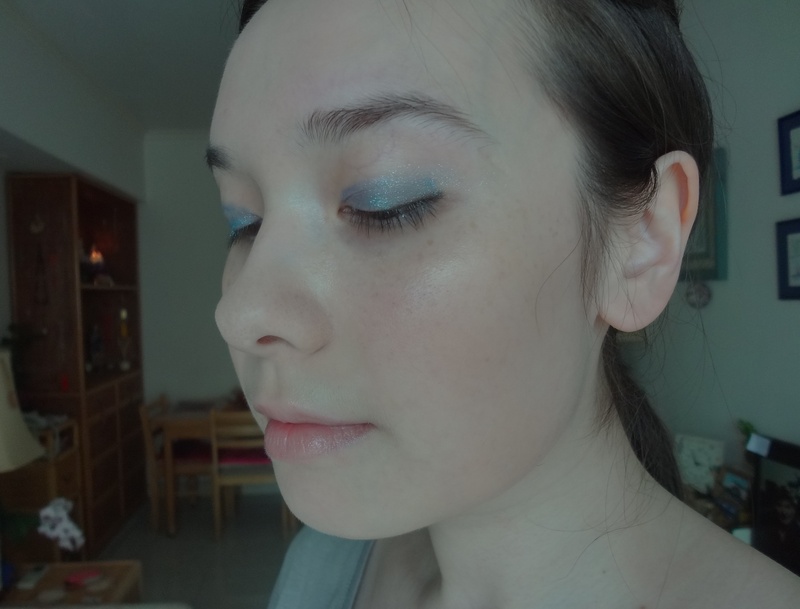 This entry was posted in Beauty and tagged Beauty, best cream eyeshadows, best stick eyeshadows, Blue Bay, Chanel, Chanel Stylo Eyeshadows, cosmetics, cream eyeshadows, EOTD, FOTD, Jade Shore, L'Ete Papillon de Chanel, look, make-up, review, stick eyeshadows, Stylo Eyeshadow 24/7 Pencil comparison, Stylo Eyeshadow Caviar Stick comparison, Stylo Eyeshadow Chubby Stick comparison, Stylo Eyeshadow vs Caviar Stick, Stylo Eyeshadows, Summer 2013, swatches. Bookmark the permalink.